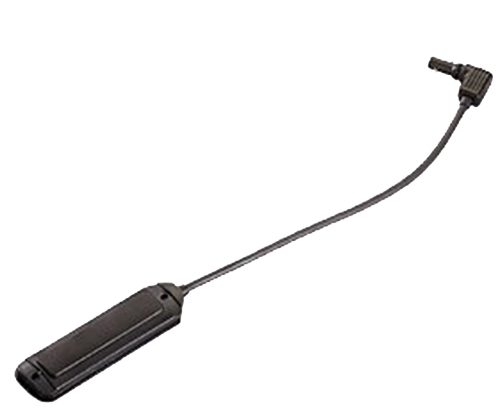 These Plug-In Remote Pressure Switches must be used in conjunction with a battery door switch (Mfg #69130 or 69161), and are all compatible with Streamlight's TLT tactical light series: TLR-1, TLR-2, TLR-1 HP, and TLR-1 Gamespotter. The Shotgun switch has a coiled wire, allowing for cord expansion with pump action. The Long Gun switch has an 8" cord and attaches to rail forend. The Tape switch has an 8" cord and fits most right-angle grips and other aftermarket accessories. Each remote switch includes mounting accessories.